This is Archived content. 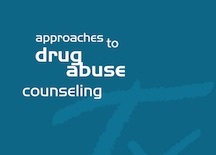 View current publications on drugabuse.gov. 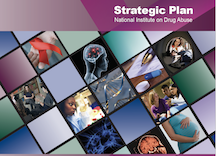 Outlines NIDA’s drug abuse and addiction research strategic priorities for the next 5 years, focusing on prevention, treatment, HIV/AIDS, and other cross-cutting issues. Reports on NIDA's 5-year plan to address the drug abuse and addiction research needs of racial/ethnic minority and other health disparity groups. Provides guidelines for establishing epidemiology networks to monitor and assess drug abuse patterns and trends and emerging drug problems at community and State levels. As a way to succinctly present some of the significant reasons why drug abuse and addiction are such challenging public health problems, staff at the National Institute on Drug Abuse (NIDA) have compiled some key facts, graphics and messages. We hope this resource will be useful to you as you continue to educate yourself and others on this critical issue. One of the most dangerous substances abused by children and teens are toxic substances collectively referred to as inhalants - breathable chemical vapors that produce mind-altering effects. "Club drug" is a vague term that refers to a wide variety of drugs including MDMA (Ecstasy), GHB, Rohypnol, ketamine, methamphetamine, and LSD. Uncertainties about the drug sources, pharmacological agents, chemicals used to manufacture them, and possible contaminants make it difficult to determine toxicity, consequences, and symptoms. However, the information in this bulletin is based on scientifically sound data regarding the use of these drugs. 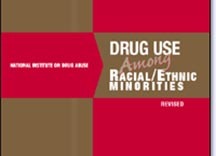 The purpose of this report is to provide policymakers, program leaders and staff, health administrators, scientists, and others with information that may help them understand the nature and extent of illegal drug use, associated behaviors, and problems that now affect our Nation’s racial/ethnic minority populations and the current non-Hispanic White majority population. More than 20 years of research has shown that addiction is clearly treatable. 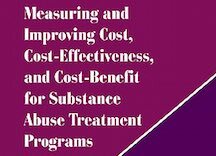 Addiction treatment has been effective in reducing drug use and HIV infection, diminishing the health and social costs that result from addiction, and decreasing criminal behavior. 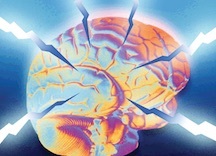 The National Institute on Drug Abuse (NIDA), which supports more than 85 percent of the world's research on drug abuse and addiction, has found that behavioral approaches can be very effective in treating cocaine addiction. 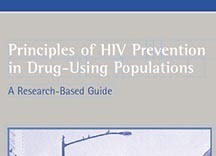 Research has yielded a set of scientifically based principles that should prove useful to community planners, policymakers, service providers, and medical practitioners as they develop and implement programs to prevent the spread of HIV and other infections among injecting and non-injecting drug users and their sexual partners. Researchers have long recognized the strong correlation between stress and substance abuse, particularly in prompting relapse. Although exposure to stress is a common occurrence for many of us,it is also one of the most powerful triggers for relapse to substance abuse in addicted individuals - even after long periods of abstinence. In the aftermath of the terrorist attacks on New York City and Washington, D.C., people across the country and abroad are struggling with the emotional impact of large-scale damage and loss of life, as well as the uncertainty of what will happen next. These are stressful times for all and may be particularly difficult times for people who are more vulnerable to substance abuse or may be recovering from an addiction. 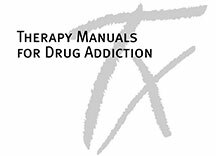 The NIDA Clinical Toolbox is a compilation of publications based on NIDA-supported research, including the first three in a series of drug treatment therapy manuals and our most recent publication, Principles of Drug Addiction Treatment: A Research-Based Guide. Since 1985, the National Institute on Drug Abuse (NIDA) has conducted research to determine the most effective ways to reduce the risk of HIV/AIDS transmission by drug users and their sexual partners. Findings from more than 30 studies reported that community-based outreach is an effective strategy for reaching drug-using populations and providing them with the means for behavior change. 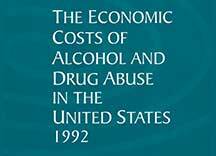 The consequences of drug and alcohol abuse in the United States are enormously costly. 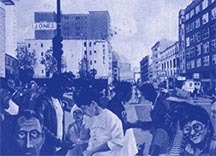 Although the costs can be evaluated in dollars, they are more readily understood in human terms: family discord, neglect of children, personal misery, financial straits, medical problems, fetal alcohol syndrome, HIV infection, legal problems, incarceration, automobile accidents, lower work productivity, and job loss and the list goes on. Combating and reducing the source of these problems have proven to be difficult indeed, but one of the most straightforward and noncontroversial ways is to provide effective treatment to drug abusers. Hepatitis C is the most common chronic blood-borne infection in the United States. Approximately 4 million Americans have been infected with the hepatitis C virus (HCV). And epidemiologic studies show that HCV is now endemic among injection drug users (IDUs), the result of risk behaviors such as sharing of syringes and other paraphernalia. This series reflects NIDA's commitment to rapidly applying basic findings in real-life settings. 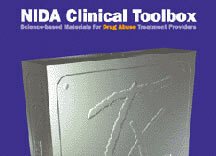 The manuals are derived from those used efficaciously in NIDA-supported drug abuse treatment studies. They are intended for use by drug abuse treatment practitioners, mental health professionals, and all others concerned with the treatment of drug addiction. The therapies presented in this series exemplify the best of what we currently know about treating drug addiction. As our knowledge evolves, new and improved therapies are certain to emerge. The manual describes several ways to determine cost effectiveness and benefits, ranging from simple educated estimates to sophisticated, computerized methods. It even shows you how to find people at little or no cost to help you collect and analyze the data. Cocaine dependence remains an intractable U.S. public health problem that contributes to many of our most disturbing social problems, including the spread of infectious disease (e.g., HIV, hepatitis, tuberculosis), crime, violence, poverty, traumatic injuries, and neonatal drug exposure. Cognitive-behavioral coping skills treatment (CBT) is a short-term, focused approach to helping cocaine-dependent individuals become abstinent from cocaine and other substances. Today, more than 4 million women in this country use drugs. Women of all ages, races and cultures..... Women just like your best friend, your sister, your co-worker, or your daughter....Women just like you. Drug abuse is a serious, continuing illness. There are no easy cures.